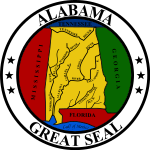 The 1900 Alabama gubernatorial election took place on November 2, 1900, in order to elect the Governor of Alabama. Incumbent Democrat Joseph F. Johnston decided not to run for a third term in office. ^ Alabama. Legislature. Senate (1901). Journal of the Senate of the State of Alabama. p. 17.